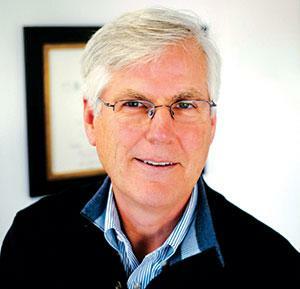 CANCER IS “slowly becoming the thing that changed people’s lives, something they can speak of in past tense,” says David Scadden in Cancerland: A medical memoir. So true! My nasopharyngeal cancer, that struck nine years ago, surely changed my life. It took eight-nine months to be diagnosed, but once I had the MRI report confirming nasopharynx carcinoma in my hands, it was such a relief to finally know why I had excruciating pain on the right side of my face and head, that random nose bleed, that throwing up of blood, those sleepless nights. Earlier, I had no clue what the nasopharynx was. I had also never bothered to read about cancer. Scadden, a Harvard oncologist, describes his knowledge of cancer as a child “equaling irredeemable loss, unspoken of, incomprehensible and deeply sad”. That was exactly the feeling in the living room as I showed the lab report to my large family. There was a deathly silence as I stood there, unperturbed. My uncle then whacked me hard and asked me to cry as he hugged me. I did cry. Scadden’s views on medical research and doctors are well balanced; he doesn’t hesitate to talk about ground realities and limitations. The book touches upon aspects of many other diseases and medical science that were discovered in parallel or on the journey to finding answers related to cancer. It mentions how the Human Genome Project came about and that genome sequencing today allows most cancers to be screened for mutations. 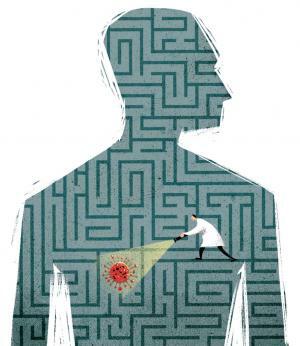 The huge knowledge base now makes it possible to determine whether specific people will respond to a special drug or not, thus, providing information about better treatment options—termed as “Precision Medicine”. This was not available at the time I was diagnosed. As the biological database expands, Scadden indicates a greater dependence on artificial intelligence and sophisticated algorithms to “leverage the power of the immune system” in the future. 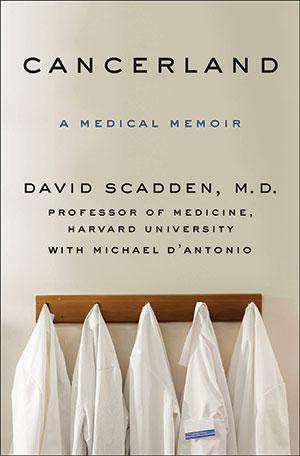 As a layperson, what interested me most were Scadden’s personal encounters with his patients and cancer that included his classmate from second grade, his close friend’s mother and both his parents; how these affected his life and work. One doesn’t often hear that from a doctor. Many of his words echo my own experience. “In the bustle of life, it is very easy to overlook the blessing of a well-functioning body and the gift that is each ordinary day. When you work with people who cannot take these things for granted but who often meet their pain with clear-eyed emotion and even humour, you are reminded that most of what we worry about every day is neither profound nor worthy of much attention,” he writes. I too had enjoyed sitting in the sun every morning oiling my skin and not having to wear a bra without being judged. One day, I noticed how other cancer patients covered their bald heads. I was surprised. All I cared about was being alive and not think about my outward appearance. I was reflecting inwards; none of these mattered now when I had turned into an invalid. Singing, which I was shy of previously, was something that kept me alive during the cruel treatment. I sang aloud and out of tune even in the semi-conscious state, when nurses were changing my intravenous bottles or piercing needles. I created poetry too in which potatoes and brinjals were heroes! We laugh about this even today. I thank my family for keeping my spirit up. You say the immune system responds to inputs from the nervous system, hence, can be modulated by thoughts; but the response is not robust enough to affect a malignant disease. And that always wins. But brain is part of the body. So, doesn't biology include both mind and body? We don't have good information on this. The best studies have indicated that in advanced cancer, adopting an approach exemplified in the US by hospice care somewhat improved people's longevity compared to those who received aggressive treatment. It is not clear that stress and attitude alter progression of disease and survival, but they certainly impact how a person deals with their illness. Cancer is very isolating, but it is never experienced by the individual alone. Family and friends are always brought into the emotional vortex. Since none of the known causes of nasopharyngeal cancer were relevant to me, I believe my trigger was psychological. Do you think a wounded spirit can be a trigger for cancer? Stress does change the immune system, hormones and output from the nervous system to our organs. Whether psychological stress can impact the incidence of cancer is very difficult to measure. I think it is likely, though not yet proven. But with new techniques, we should begin to see more science soon around what you and many suspect. Post cancer, I began to show my feelings, including anger, more freely. My family had often spoken about my anger as a young child. Did such characteristics, which were hidden over time, begin to resurface in your patients? Everyone touched by cancer is changed by it. Those who face a significant cancer diagnosis come away cherishing things less and people more. A rosy sunrise or a warm personal encounter is richer than ever before. There is often a paradoxical beauty associated with this fearsome, cruel beast—cancer.